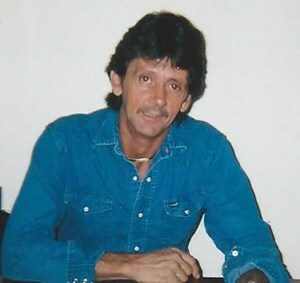 Randy L. Viergever, 61, passed away Saturday, February 2, 2019, at his home surrounded by his friends and family. Randy was born September 26, 1957, in Topeka, KS, to Donald Allen and Anna Mae (Walthall) Viergever. He graduated from Rossville High School in 1976. Randy married Karen Liggett on October 21, 1978. Together they had a daughter, Lisa Marie on September 19, 1984. He worked at Jeffrey Energy Center from 1977 to 1984. Upon leaving he started Viergever Trucking for which he contracted with Kansas Sand and Concrete for 32 years. He enjoyed coaching softball for his daughter’s team for several years. Randy was a loyal friend and will be missed by many. Randy is survived by his wife of 40 years, Karen Viergever; daughter, Lisa Viergever; father, Donald Allen Viergever, Sr.; brother, Donald Allen (Laura) Viergever, Jr.; sister, Theresa Viergever; and many nieces and nephews. A funeral service will be at 2:00 p.m. on Friday, February 8, 2019, at Parker-Price Cremations, Funerals & Receptions. Interment will follow at Dover Cemetery, Dover, Kansas. The family will greet friends from 5:00 to 7:00 p.m. on Thursday at the funeral home. At Randy’s request, please dress casual (Jeans and boots welcome). In lieu of flowers, memorial contributions may be made to Willard Community Baptist Church, 107 Wabaunsee Road, Topeka, KS 66615. To leave the family a special message, please click the Share Memories button above. Add your memories to the guest book of Randy Viergever. So sorry to learn about the loss of your Dear Loved One, Randy. Please know that so many people share your grief with you to help you through this difficult time of sorrow. Please accept my deepest condolences as we await the time when Christ Jesus will awaken all those who have fallen asleep in death; including your Beloved, Randy. My most sincere condolences to all those who grew up with, loved, or knew Randy as their son, brother, husband, father or friend. We are so sorry for your loss. Randy was a very special and dear friend. Please know that your all in our hearts, thoughts and prayers. We are sorry for your loss. Randy was always a nice guy. May God give you peace at this time. We were so sorry to hear of Randy's passing. You are in our thoughts and prayers. Viergever family. I am saddened to read about Randy's passing. He played on a pool team with Tim and I years ago and was a good guy. Prayers for all. Know that you are in our thoughts and prayers, accept our condolences. Karen, my deepest sympathies in the hearing of the passing of Randy. Please know that you are in my thoughts and prayers. Thoughts and prayers are with you and your family! Hi Karen. Wow, what a shocker to read about Randy. I’m so sorry. Hope you and Lisa are doing okay. I’m in Wichita now and won’t be able to make the funeral. When you’re up for it, call or text me at 785-608-5709. I’d love to catch up. Take care - Deb. Preyers from our family to yours Karen. I am so sorry to hear of Randy's passing. My thoughts and prayers are with you. Sorry for your loss. Our prayers and thoughts are with you and your family.